It has been THE question, when and how does it all end. For four seasons, Vincent has been in some form of hiding. Whether it was in an actual underground dungeon, or in plain view, working as a doctor in the ER; Vincent has been under constant threat of being found out. Whether there are people actively chasing him, to either kill or capture him for nefarious reasons, or whether it’s just the mere threat of discovery, the consequences of being exposed as a beast have been hanging over Vincent and his friends for as long as we have known them. What exactly is the way out? 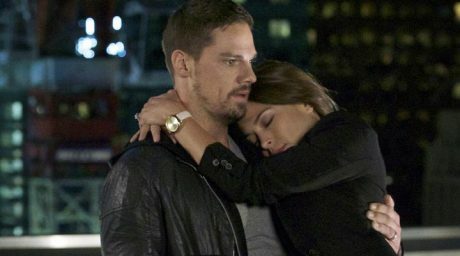 This question certainly dominated last week’s episode of Beauty and the Beast; Point of No Return. Vincent is on the run, hiding in the woods and familiar underground dungeons. Cat is being pressured by DHS special anti terrorism agent Morgan (Donnie Keshawarz) to give up her husband and JT and Heather are being questioned for their knowledge of the whereabouts of suspected domestic terrorist, Vincent Keller. That is the one saving grace so far, DHS still doesn’t know that Vincent is a beast and whoever is sending bounty hunters isn’t yet aware of his identity either. This at least allows the team some breathing room, but at the same time, it poses a dilemma. 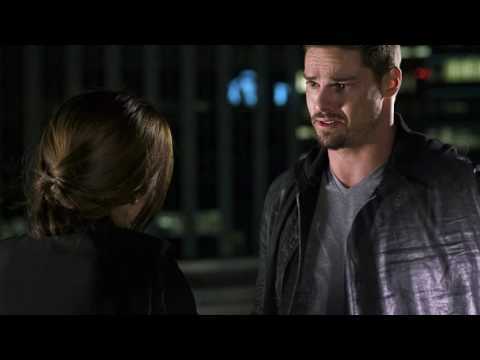 Tess urges Cat to consider trusting the law and bringing Vincent in so they can prove that Hill set him up, but of course there is no way to do that without exposing Vincent as a beast and the feds haven’t exactly been trustworthy with that knowledge in the past. I get where Tess is coming from; she is a cop and a dedicated good one at that. She has to trust in the system, or what is the point? 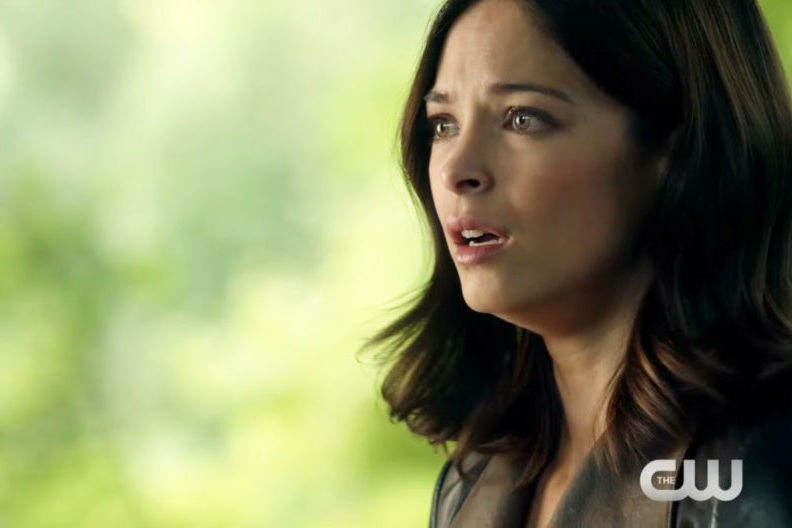 She even tries to convince Cat that bringing Vincent in may be the better choice. They have all been breaking the law for years now and things are only escalating. JT has his computers confiscated and Heather is brought in for questioning. Cat makes a deal with DHS in the end; she pretends to be willing to turn Vincent in, in exchange for access to Deputy Secretary Hill’s files and for a guarantee that Vincent will be treated fairly and will be taken without harm. The files reveal that Hill was making payments to a Blackwater type mercenary contractor named Graydal Security; presumably they were the ones sending snipers to assassinate our friends. Meanwhile Vincent lures a bounty hunter (a surprise Tahmoh Penikett) to a remote site on an abandoned ship in order to find out once and for all who is trying to capture a beast. This lead also points to Graydal and Vincent decides to infiltrate the company. He manages to get a face to face with its CEO Peter Braxton (nice to see Marc Singer back on my screen) who doesn’t exactly trust Vincent right off the bat. Again, the saving grace is that Graydal doesn’t know Vincent is the beast they have been looking for, but the risk of exposure is huge! When Cat follows though on her promise to give Vincent up, the apparent betrayal not only convinces DHS that she is to be trusted, but it also persuades Graydal that Vincent is not with DHS, secretly working for his wife. So now Vincent and Cat are both essentially undercover, on opposite sides of the law. Cat seems to have doubts about not trusting that the feds could help them, but Vincent is adamant. Of course he has been burned so many times by the authorities; starting way back when he participated in the super soldier program to begin with. It’s quite a dilemma and I honestly don’t know where it will end. Our friends are all a bit torn. JT is fearfully watching his best friend cross some lines he thought he had pulled him well back from many years ago, Tess worries about all her loved ones ending up in some secret Homeland Security jail and Heather, in constant worry for her sister and brother in law, is heartbroken by continuing to have to lie to Kyle. I still don’t trust him by the way. That was some odd look he gave over Heather’s shoulder when she hugged him after (fake) confessing Vincent’s secrets. Is the answer exposing Vincent’s secret and trusting in the government and the rule of law? It hasn’t worked out so well in the past, but short of a cure, what else will bring this continued cat and mouse game to an end, once and for all? Being a beast is so much part of who Vincent is now, I’m not even sure that “cure” is the right word anymore. From the preview, it looks like Vincent is getting in deep with the mercenary group and that it will drive a wedge between our beloved pair. Say it ain’t so! We don’t have many episodes left. When and how will it all end? Hit me up with your thoughts, Beasties!